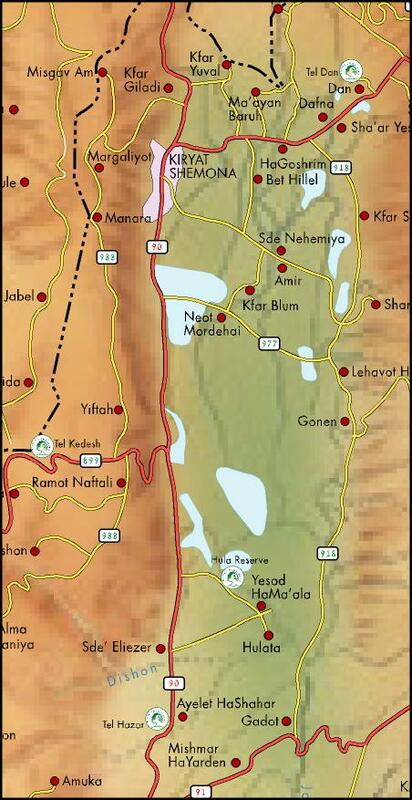 The Ramot Naftaly winery is located in what is considered a top terroir of this small Middle-Eastern country, on the edge between the Upper Galilee and the Golan heights, and it is also very close from the Lebanese border, at the same level than the well-known kibbutz Kiryat Shemona (see this map). Right now the area is quiet but the Hizbollah terror group which rules on the other side isn't precisely capitalizing on peaceful coexistence, so there's a lot of monitoring in this direction. The Kedesh valley has been a wine country since and before the biblical times. This small winery is located in the moshav Ramot Naftali, the same-name agricultural settlement where 3 other small wineries are present, this one being the only one that stands out. The altitude of the hills around here is 450 meters and the Kedesh valley which runs in the middle is said to be an excellent terroir for red wines. Itzhak Cohen, the founder of the winery, adds that this is here that you find the best Cabernet Sauvignon of the area, including the Golan next to the valley. The earth looks almost red and this Terra Rosa soil with good draining texture makes me think to some terroirs of Provence, like Pierrefeu. Yitzhak Cohen in the vat room Yitzhak Cohen grows 6 varieties here, Cabernet Sauvignon, Merlot, Shiraz, Malberc, Barbera and Petit Verdot. These are his vineyards, he makes wine from his own plots (planted 10 years ago) and not from contracted vineyards. He actually began to make wine in 2003, this was just a test, with 1000 bottles to see if it was good, then he went to school and asked to Tal Pelter on the Golan for advice for his first vintages [he was inspired to have him as teacher because it seems to me that Pelter is one of the best vintners of Israel]. Pelter helped him in many ways, and now he is helped by his grand daughter who went to the Rehovot Faculty of Agriculture in Jerusalem where she made a second degree in enology. He has good hopes that she'll come work here as she likes the place. This is a family winery, he makes about 10 000 bottles yearly, but part of his activity is also to sell vatroom service to other smaller wineries operating on the moshav Ramot Naftaly, renting out a few vats, the press and the bottling line. He also has a small lab here but whenever he needs more elaborate analysis of the juices, he sends samples to a specialized laboratory. 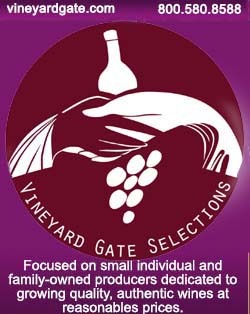 In 2009 he began to make kosher wines (meaning that the wine and the containers are operated by observant jews only). He himself doesn't touch the vats or the casks. The Garbellotto barrel The cask room is not large as the output of the winery is relatively small, but there's still a big-capacity barrel in there in addition to 42 regular casks, it is made by Garbellotto in Italy. It is a 2000-liter vat that they made specially for him, this cooperage otherwise makes vats of many estates in the Piemont and Valpolicella area where big capacity use is common. One of the reason he ordered this vat he says with a smile is that it is a nice barrel, the other is that it takes less room for the amount of stored wine (it is equivalent to nearly 10 regular barrels), and the last reason is that the wood impact on the wine is slower and softer, something he prefers because he is trying to keep the fruit forward in the wine. So the Cabernet Sauvignon will spend one year élevage in small casks (all French), then another year in this big-size barrel. The casks are 20 % new and the rest are used. All his wines spend time in wood, from 1 year to 2 years depending of the wine. He ordered another such Garbellotto vat. Waxed bottles After the élevage in wood and the bottling, the wine spends another year in bottles after which they're labelled and ready for sale. Most of the bottles are grouped in pallets, label-less, like what I spot as being a 2008 vintage, but some of them are on shelves, with a wax top and their labels. The winery in spite of its 10 000 bottles production is well equipped. We passed the small Bücher pneumatic press, with a capacity of 8 hundred kilograms only. There's a crusher too, pictured above right. But before this stage, he has people watch the incoming grapes on a sorting table and take out the undesirable grapes or clusters. View over the Kedesh valley with vineyards Some varieties Yitzhak Cohen grows in the Kedesh valley, he was the 1st one in Israel to make single-variety cuvées, like Malbec and Barbera. People mostly don't know these varieties in Israel and if it is grown elsewhere, it is as a minority part of a blend. Malbec is very hard to grow successfully in Israel, and on some vintages he just didn't make any Malbec wine for this reason. He made some in 2005, not in 2006. He got again some in 2007 but not in 2008, and so on. Speaking of Petit Verdot, most of the wineries grow it with blend in mind, but he tries to make a 100 % Petit Verdot. Checking the shoots on the vines When he started his winery, Yitzhak Cohen wanted to make something different from the 250 other boutique wineries that sprouted all over Israel in the last few years. He did not want to make the same mainstream blends that you find everywhere, so ,and this way was in part to make wines from Malbec and Barbera. He discovered the Barbera while touring Piemont some 12 years ago, a region he loves as well as its wines, and he thought then, I must make Barbzera wine in Israel. He had the baby vines imported from Italy, with a the legal procedure, the quanrantine and so on. He had Malbec brought here from France. __ Ramot Naftaly Duet 2008. Kedesh valley like the rest. Blend of Merlot (65 %) and Cabernet (35 %). Nose rather complex with red fruits, cooked red fruits notes. Fresh feel in the mouth with nice spicy aromas. Goes down pretty easily. 14,8 °. There's a difference of 2 weeks between the two varieties. Vinified separately and blended after malo, in the barrels. He got the idea to make this blend from Pelter on the Golan heights. __ Ramot Naftaly Petit Verdot 2008. Kedesh valley. Good nose, spicy. Very gentle mouth, an easy drink with coffee among the back aromas. Nice wine. 1200 bottles. __ Ramot Naftaly Cabernet Sauvignon 2005. Carafed. 2005 is the best vintage he had with the Cabernet, there was an exceptional balance in the ripening process that year in the Kedesh valley. He got 8 medals in different competitions with this wine. Beautiful. Elegant nose with wet stone aromas. Dirt too. He was right, there's deposits on one side of the bottle, the filtering is really minimal. Bottle # 1378 (there were 3800 bottles in all). In the mouth, well balanced but very powerfull when swallowed. Yields are 800 kg of grapes per Dunam (10 Dunams make 1 hectare). Elevage : 20 months in French oak. The prices for the wines go from 85 Shekels for Duet to 150 Shekels for the Cabernet Sauvignon. Speaking of SO2, he adds some at the beginning (when the grapes arrive at the winery), and 30 ppm after the malo ferm. Then he makes tests to check the level and he adjusts at the lowest level if needed. Yitzhak Cohen also works in a union of moshavim, there are about 260 moshavs in his group and his job is to discuss with the government agencies for the rate of utilities like water, or set the price of milk, the level of taxes and so on. The moshav and kibbutz are an important pillar in the agricultural system in Israel and it is interesting to hear about how this work as it is very different in France (even if the French farmers have their unions too). Working as a coordinator in the agriculture field played certainly a role in his decision one day to start this winery, and to prefer keeping it small in size. I love the pictures shown within this article and Yitzhak Cohen is one of those wine makers who deserve recognition for their unending passion in wines.